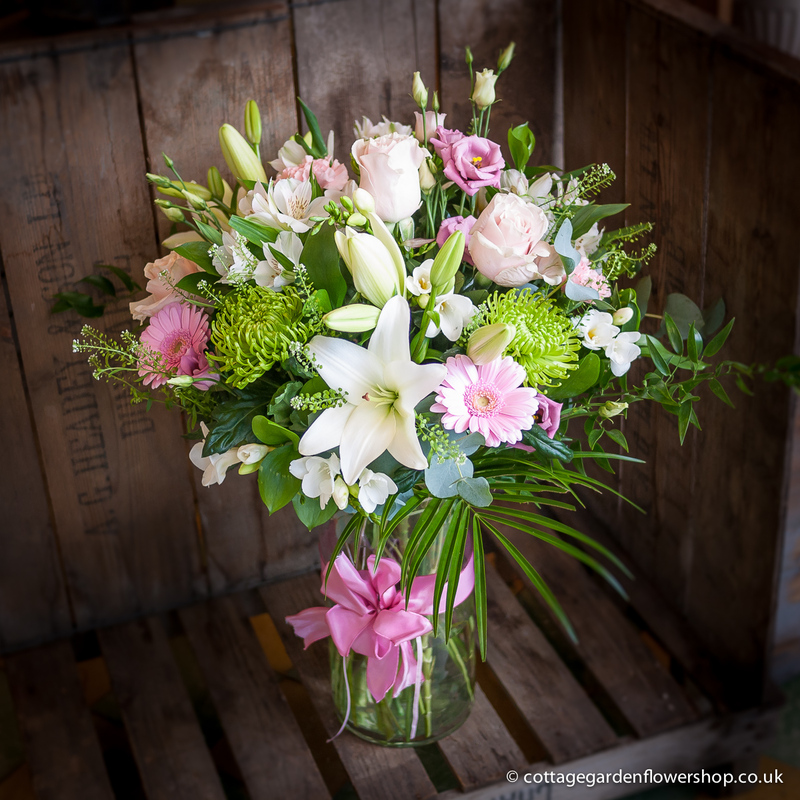 This beautiful vase arrangement contains a luxurious mix of flowers in pinks and whites striking lilies, classic roses, germini, lisianthus, alstroemeria and more with choice foliage. Delivered in a tall, handsome, glass vase. Created in house this design is available for local delivery only. Flower varieties may vary slightly according to seasonal availability.